The Laurel Home Paint Palette and Home Furnishings Collection is Here! think all of the above. So before I get into the spiel about the paint palettes that come with inspiration boards and furniture and more! I want to try to clarify things for everyone. Some who just happened to fall into my trap stumble upon me and have no idea why a woman would superimpose her face onto a painting done 100 years ago. Some who’ve been here a while but have not purchased any of my products but are intrigued. Let’s say a fond farewell to those folks who are not interested in joining the party. What I’m going to do is divide the rest of you guys into your groups based on your number above. If you’re bored, you may read someone else’s group. That’s cool. But if you’re busy, you may skip over until you find your group being called. How does that sound? 13 months ago, I created my first product which has gotten rave reviews. It’s called Laurel’s Rolodex. It’s a wonderful shopping guide and instead of wasting a lot of real estate, you can read all about it by clicking on the link. Don’t worry, your spot is saved and you can come back when you’re finished. Last May, I created a second product called The Laurel Home Essential Paint Color Collection. And you should read what people have written about that! When you’ve finished, please just hang for a bit. ;] I need to get you up to speed. GROUP THREE – I’M READY FOR YOU NOW. Hey Guys – Smart Rolodex Owners, but who haven’t gotten a paint collection. If you are interested in learning more, please go on over to The Laurel Home Essential Paint Color Collection. So, you can read more about it. That’s part I of this two-part product. There is a whopping special deal going on through November 13th. GROUP FOUR IT’S YOUR TURN. Thank you so much for waiting. I need you to go over to this page and check out Laurel’s Rolodex. We did a number on it and I’ve added 39 wonderful sources both to-the-trade and retail and 15 new designer friendly sources, making the total 168 designer friendly sources! Wonderful. No, I haven’t forgotten about you, group five. Are you kidding? Guys, I hear a lot of mumbling. Please Listen Up. Now, that everyone’s up to speed, I can progress with the new product. WHEN YOU’RE READY, I NEED ALL FIVE GROUPS TO GATHER ‘ROUND. Looks like we lost a few, but that’s okay. We don’t need folks who aren’t interested in learning and growing as designers. Today, I am releasing product number three. But this is why I put you in different groups. Product Number Three, THE LAUREL HOME ULTIMATE PAINT PALETTE AND HOME FURNISHINGS COLLECTION is really PART II of The Essential Paint Collection. It is not an add-on, freebie, however. No, not after spending some 600 hours putting it together. It is a separate book. But, at a really great deal right now. We’ll get to that shortly. Oh, and for newbies. Raise a hand so that I know that you’re listening. ;] This is very important. THESE ARE PDF FILES. When you go to order, you might notice that you will not be asked for your address and that is because these are digital products that you download to your laptop, tablet, mobile or all three! It is possible to have them printed out. Here is a google search of a bunch of companies that will provide that service for you. However, for the rolodex, every company has a working link back to the vendor/manufacturer and it makes shopping a breeze as you have the product lines of 100s of companies, a click away. Your products are portable as well. OR, you can also view on desk top. In addition, the paint products are brilliant on your devices. Just beautiful and I find it is actually far easier to see undertones on my laptop. But here’s the deal. Since part II – the palettes is really part of part I – the paint collection, they are going to be sold from here on… as one product. They are meant to be used together. There is information is part I that is not in part II. So, what’s in part II – The Ultimate Paint Palette and Home Furnishings Collection? I’ve dropped some hints but have not shown you more precisely. There are 40 palettes, and each one comes with a beautiful design board and its own chapter. Below is an example of one of the forty boards. Please know that the quality is much crisper in the real guide. These are screenshots and therefore, the links won’t work if you try to click on them. Also, since this is a dining room, it has about half the number of links of most of the living rooms. There are some 600 links for home furnishings! Some of the boards also have additional images of the furniture and/or fabric used. Below is Palette Family #1 – Neutral, But Never Boring. So, to recap. You get the forty palettes, with the forty boards. The furnishings on the boards are all listed and with links. Some sources are retail only, but for any sources that are to the trade, I found in 98% of the cases, an online source that sells that item and it is listed. Some pieces are vintage or one-of-a-kind. There are several bedrooms, dining rooms and many living rooms. If you’d like to see some more boards, click here. The colors range from pale and soothing to very colorful and intense. There are light rooms and dark rooms. And dozens of pieces of beautiful furniture. Palettes in a vacuum mean very little. There needs to be a jumping off point. But there’s so much more than that, because there are hundreds if not thousands of ways that these palettes can be combined. By knowing which palettes are in what family and then knowing which other families coordinate, I think is a wonderful tool in helping come up with a cohesive, beautiful color palette and the basis for a beautifully decorated home. Yes, in the back row… I see that you look a little anxious. Laurel, you had me, 10 seconds in with “chomping at the bit.” Where is the damned button to purchase this stuff. I want it all! but I only started saving them a few weeks ago. Here they are! I can’t thank you enough for all of the HOURS of hard work you put into your “Laurel Home Paint Color Collection”. I bought it just as I had painters coming in to paint my living room and kitchen. My kitchen wall runs into the back wall of my dining room and I wanted color in the kitchen so it had to work with my dining room and living room walls which run into each other. I chose Saybrook Sage for my kitchen and back dining room wall and Niveous for the remaining D.R. and L.R. walls. They look beautiful together. The green undertone in the Niveous works beautifully with the Saybrook Sage. I chose white dove for the trim and doors. THANK YOU! I love, love your colors. Thanks for the great offer Laurel. I love my Rolodex and paint guide. There is so much available to the public at retail that I had NO CLUE about, especially regarding furniture. I though I was forever going to be stuck in the Lamps Plus, Pottery Barn, RH rut. These tools you have worked so hard on are a super value and I think all your readers should buy them!! I echo others who say yours is the one blog we never miss. Your Essential Paint Collection is spectacular and a wonderful investment. Thank you, thank you, Laurel. Discovering “Cotton Balls” has proved a little costly because after seeing how it transformed the breakfast room, I’ve decided to repaint the back halls, which were painted fairly recently, and to use it on the woodwork in the entrance hall, which I’d not intended to paint. My painter is very good, but very expensive. Yet this paint has made as much difference as adding fine wallpaper would have made—only better difference. Keep up the good work and thanks for teaching an old dog some new tricks. You’re so damn impressive Laurel. I can’t believe your technical abilities in addition to all your design talents. My copy of the paint palette that I had printed at Blurb is so well worn now from use and study. I really don’t need anything else. Bought twin English roll arm sofas today in light blue velvet (Marilyns Dress), tufted backs, to go with the spring palette I am working on for this house. I don’t think I can wait to get the new palettes until November, so I am going to stick to the one you got me started on. Avocado looks great in my dining room with a new chartreuse, limey sectional peeking through from the family room area. I have a designer helping me, I just hand her your images and go, “Can we just copy this”. Wow! This is money well-spent! So very helpful. Just bought your rolodex and your paint colors and I’m glad I did. On the paints – I am trained as a fine artist and I’ve been good at paint choices over many years and 8 houses, but it takes me a lot of trials. About to do it again after downsizing – and your list and explanations are helping me already this morning – like having a conversation with someone good and experienced. It is making the choice more enjoyable. Some of my favorites are in your list – and you’re introducing me to others. Good format and context! Rolodex I’ve just dipped into – looking forward to reading it. I think you provide a great fun voice in the crowded field and really useful info. Brava! Love your blog! Always informative and helpful. Great ideas. Look forward to reading it each week. I paint a lot (of walls – it’s a sickness LOL)! But before selecting any paint color, I always research the Laurel Home Paint Collection. It’s my “go to.” Thank you for doing the research! I will definitely order when I get my promo code! I recently bought a home that has a lot of wood trim throughout….. Beautiful knotty alder and my husband would strangle me if I painted the trim. I just painted the powder room Henderson Buff….. Amazing. This bathroom doesn’t have a window so the green really comes out. I am using your list of BM colors that look great with wood. So very thankful to have found this awesome designer with the best blog ever!!! I’ve been saturated in your color book. We’re having our interior home repainted and your guide has been invaluable. Incidentally, I’m going to take your challenge: Our painters will be using ____ and pairing it with______ for one of our kids’ rooms. In reading one of your blogs, you posted something about “Woodlawn Blue.” I painted our guest room this color, above the wainscoting, and it’s nothing short of delicious. It’s been on the wall for about 10 years (with a freshener in between). Our guests always comment on it. When I wonder, “I think I’m going to change up,” I walk into our lovely guest room and say, “I LOVE this color! Don’t change it!” And I walk out knowing it’s one of the best blues out there. I am soooo getting this……. My house is in the process of a makeover ….. I have, ahem been my own interior designers thus far and I am happy with what I have done to this point. I am however now at the cross roads as to what to do to finish…. …i.e a great office is fine, but the effect is somewhat diminished when it butts up against a tired tawdry hallway. I have been a loss as to how to tie it all together……. Not anymore!!!!!!! Thanks to you, and your paint collection, I am off to the races….. Can’t wait to get started!! Promise I will send photos so, you can see how you have helped finish my new house!!!! Great guide to a wide spectrum of colors. Helpful for both the person who likes explanations to better understand color nuances and for one who likes a go-to list of suggested colors. Dear Laurel, I wrote to you about 7 months ago and asked about paint decisions for a house we were building in Point Clear, Alabama on Mobile Bay. Out of the goodness of your heart, you answered within two days. I was in need of your advice and I would have paid (handsomely) for the help because you are my favorite designer. The advice was to try the paint I wanted to use in different rooms and in different light. I bought 24 little gems (cans from Benjamin Moore). I also bought the little boards to try all the colors. And as I waited for the walls to get up I studied all of your blogs, every single one I could find! The house is getting close to completion and it has been painted inside and out and………the color is BM White Dove. We have built three houses over the years and every time we moved in I was not totally satisfied with what I had done or the help I had received. . Words cannot express how much I love this house. I have consulted with decorators over the years, and have come away a little overwhelmed. Your blogs are wonderful. I learn something every week. I will send pictures as I get to each finished room. Hopefully, after seeing some pics you will realize what an expert teacher you are. If you run screaming out into traffic, you can tell me. I will just study more! Thank you, thank you, thank you..you are the best. Dear Laurel- LOVE the palette in this post! Of course my favorite color is blue and I was thrilled to see so many blues in your color collection. In fact within a short time of receiving my copy, I painted my den/library Van Deusen blue. We have cherry wood stained judge’s paneling and bookcases in the room and this color looks AMAZING. I love your color collection and can’t wait to get the follow up edition with all of those lovely boards. I am a novice decorator and I look forward to your blog every week. Keep the entertaining (and educational) posts coming. All the best! Your paint colour advice has been a lifesaver! This is the advice I have been looking for all my life. I have been reading your blog for several months now, and most recently purchased your paint guide and am trying to work my way through it in planning to repaint our very old house in downtown Ottawa. Are you sick of reading these yet? Here’s the damned button again. If you’re not sick of reading them, here’s more! Hi Laurel! You spent 600 hours creating your Palette Collection? Good grief! That is 75 days working 8 hours a day! IMPRESSIVE!!! I already have The Essential Paint Collection and love using it. I’m sure you are receiving dozens, if not hundreds of emails, but I am compelled to add my voice to the chorus. You are a superb interior decorator! The color palettes and design boards have inspired me such that for the first time since I last decorated (16 yrs ago) that I can once again make choices without fear that I will make terrible and costly mistakes. Mind you, my first choice would be for you to do it, but since that is impossible (due to the fact I live in VA) I at least feel I can embark on the redecorating process with your info at my fingertips. Thank you thank you thank you !! The new paint product is fab– The boards and links make it so easy to just buy what you show and move on! This way I do not have to dicker around with choices. I trust your taste implicitly. I have purchased the original color palette and use it DAILY on my phone. I love it…I love you! You are a godsend! I bought that back months ago. I am really enjoying the boards, Laurel. I consider them my training guide. As an example, soon I’ll be buying lamps because I have learned from your blog that I need lamps. (I plugged in some really ugly lamps I have from the bedroom, just to test the lamp light theory. Wow, I’ve been missing out! ) Anyway, I have been studying the lamps from your examples so that I will make good decisions for a change. I am being stubborn about spending hundreds on a lamp. I know, I should just do it. It is so funny what we decide to place importance on. I’ll drop hundreds on a tree for the yard yet refuse to spend money on jewelry…. or lamps!!! It is really weird, but there it is. my inconsistencies aside, the boards are a very good learning tool! I’m trying to get to the point where I see timeless design, good design, and these boards are great for that. Thank you for sending the code. I’m enjoying my purchase. Can’t tell you how many times I have referred to the Rolodex! 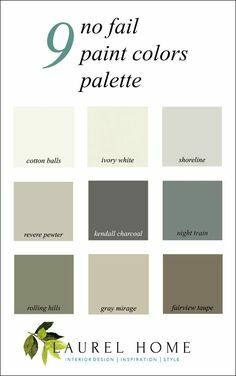 Love your blog, your paint color collection (helps me to simplify when choosing client colors), as well as your Rolodex. I’ve found some great resources that I had never heard of. Thanks for sharing your immense knowledge and experience. And for doing it all with a sense of humor. If we didn’t have a sense of humor we’d have to have gotten out of this business a long time ago, right? Laurel! I have your Rolodex and LOVE it! I’m in Idaho house hunting for a relocation from North Carolina. It’s my last night in Idaho, and it is my reward for buying a house without the help of my busy husband. You’re the best! Thank you so very much for your help and time. You are the best with all of you wonderful information but also attentiveness to customers! It is so fun to delve into the paint colors and rolodex, totally gives confidence pulling everything together. Thank you and have a great day. I have your paint guide and I can’t tell you how invaluable its been for me as my husband and I get our home ready to sell in the spring. Thank you, thank you, thank you for sharing your many years of design experience and expertise in the world of interior design, especially for those of us who can only dream of having a home as lovely as the pictures you post. Just wanted to put in my thanks for your blog and what I think are the best discussions of white paint on the internet. I recently bought and reno’ed myself a cute little house from the 80’s, very bright south rooms, very dark north rooms, and after taking in all your advice and discussion, I went with BM Simply White for the entire house. I have very colorful furniture, a bit ethnic, and it was a great backdrop. I was looking for a ‘warm white’ that was still a true white and your discussions helped me narrow it down to that quickly. Also your discussions about light reflections were very helpful, and something I wouldn’t have really considered if you hadn’t mentioned it since I’m new to all this paint stuff🙂 Keeping that in mind, for the north facing living room I installed a very light whitewashed oak floor with a yellow undertone that’s really negated any potential issues with the walls ending up blue or grey or ugly, and kept things bright in the room. I almost never comment on the internet but your blog has been such a wealth of useful information that I wanted to take a moment to express my thanks. Also the photos that you choose to illustrate your point are so helpful. The painters just left after painting our Living Room and Kitchen … Shoreline and Simply white…Gorgeous! Will send you a photo when we finish putting the room together…Thank you, thank you…your Paint Essentials is one of my best purchases yet. Great post Laurel! I consider your blog to be one of the gifts of 2016. The election made this a tough year and I needed all the laughter and design-talk I could get. I agree with your comments about the colors, except that I don’t share your love of white. But someday I bet I’ll suddenly love it! BTW, I came upon an interesting Sherwin color the other day–Canyon Clay. It looks like clay in some light and totally plum in others. Magical! And I second everyone’s positive comments about your Color Guide and Rolodex. I’ve been in this business a long time. I know color very well and have resources galore. But there are fabulous things to learn in your Guide and Rolodex, plus it’s all organized so beautifully AND infused with your joie de vivre. Priceless! Can’t wait to see what you bring to 2017. Cheers! I just want to thank you for your blog. I took your advive and chose white dove to paint our cabinets and trim throughout our house. We’re getting it ready to sell. Your blog has so much advice and your and my tastes are very similar. You reassure me in my own judgement and decisions! That is incredibly helpful. Laurel Bern, You have an amazing eye for color. Love these. I am a painter(artist) by trade and have to say that the colors you chose are really beautiful up on walls. Yay for you for not picking pinky beiges and gray,gray,gray…So over it. That said, I have Cleveland Green in my living room. If you pay attention to museum walls they are often painted this color. It is a fantastic color for artwork and white and black pops.Very classy shade. Cheers! Gosh, Laurel, thanks for answering! I actually discovered that Ghostery (ad blocker) stopped me from seeing the post. I have changed it to let me read your (trusted) site without interference. Yay! Since I have your ear, so to speak, let me say how very much I love your site and how much you have inspired me. Case in point: I felt very confident specifying navy blue Satin Impervo for my powder room walls, floor to ceiling. Ceiling is silver leaf. Thick crown molding….chair rail with picture frame molding below…black toilet….hammered nickel sink….black/pewter waterfall faucet….White Damascus granite…..gallery walls with original, custom framed art. I love it. So elegant and different. These ideas had been floating around in my head for a while but it wasn’t until I had read dozens of your posts that it all crystallized. Thank you soooo much! And that’s all there is to it. You will go to a secure Pay Pal Gateway to pay. If you’re having any problems, please contact me at the contact link above or return an email sent to you. I will get back to you ASAP. ****PS: If you do not already own Laurel’s Rolodex and would like to purchase that at the same time, you will be given the opportunity to get it for $30 off the purchase price when you put your paint product in your cart. PPS: Please do not ever contact paypal. I am here for you. Even if it takes a few hours. But usually, it doesn’t. Do you want to read more testimonials? Hi Laurel! Just purchased the palette and I LOVE it so much! You are so talented and I can’t wait to read through again. P.S. My husband and I painted like crazy last spring to get the front rooms of the house ready for a Bachelorette “home visit” that didn’t actually happen. Our son was the final contestant to be sent home from the show last spring before the home visits started. ABC had already called us and scheduled a day for the camera crew to be at our home to tape an episode. Since we had just been in the house a couple of months at that time, I had different paint color swatches all over the place with no decision in sight, no matching accessories and sofas that were 15 years old. Then ABC called and I knew I had to make some decisions fast or be humiliated with my house looking awful on national TV. This was before your paint palette booklet was published, BUT, I found your earlier blog posts with warm grey paint color suggestions and the whites you suggested. I read the post about how to hang blinds and the post about the best sofa choices. The suggestions you provided, along with the great photos you post, guided me every step of the way, and even though I had to make purchases and decisions a lot faster than I normally would, it all came together beautifully. Although my living room did not end up on television, I’m so thankful that I found your blog because I’m happy with the choices I made using your guidance. THANK YOU! A long overdue note of thanks for your incredibly thoughtful and well-executed blog. It is a resource I refer to many times a week as I work through renovations in our home. What is particularly spectacular is that your advice is not style specific. I’m not a traditional girl and it doesn’t matter one bit. The information you so generously share with your readers is both universal and communicated in layman’s terms — thus, difficult to locate in one place elsewhere. Your blog is so special and so unique that I have this quiet fear that eventually you will shut it down and all of this wonderful information will be lost to me. I’ve purchased all of your online materials and wonder whether you’ve considered compiling your blog posts into a similar resource? Ideally, you’d be in the process of writing your first book…? Again, I can’t thank you enough. I continue to jump at the chance to purchase your publications in an effort to make “our relationship” more reciprocal but then the resources are so rich, I find myself still taking more than I give! (sigh). Many thanks for all you do! I have been wanting to write to thank you from the bottom of my heart for your paint collection! My husband and I started building a home last summer and I was seriously stressing over paint colors…literally losing sleep, until I found your blog! I stumbled upon it because I was researching wood floors and was instantly hooked. Anyway, we are selling the home that we built and are building the same home again after some minor tweaks, on another piece of land nearby. When the images came in from the listing photographer I thought of sending them to you. 1) Because they are way better than I could take with my phone 2) I think you like to see what your students are doing! We chose BM Halo for the walls in eggshell, BM Cotton Balls for the trim and ceiling and kitchen perimeter cabinets. The island cabinets are BM Revere Pewter. We are still a little under construction as the carpet is not installed yet and I have yet to decide on the fireplace surround. AND I’m still waiting for the faux limestone exterior window surrounds, and shutters. I have had so so many compliments on our color choices and I always direct them to your site. I’ve NEVER even seen that show…It’s a show, right?! I keep reminding myself that we live in the southwest so there likely aren’t many anglophiles around…just me! Speaking of southwest, that’s why I HAD to do ceiling fans, it gets HOT here, we are just 120 miles north of Las Vegas, so it’s a dry heat, but 112 is still hot. Your ceiling fan post was timely but I had already bought several fans. Haha! Alas, no one here will complain, they are everywhere. Anyway, thank you again Laurel! I have felt like I had a designer friend making this journey with me the entire time, especially when the cabinet company looked at me like I had two heads because I didn’t have any upper cabinets. I knew what I wanted and loved and what would stand the test of time. I just want to tell you that your Paint Color Collection is already saving my sanity and quite possibly my marriage as my husband and I plan a kitchen renovation. Part of our new kitchen (one bottom cabinet) is spilling into our dining room, where the trim color is Mayonnaise. I thought I was going to have to paint all of my new cabinets this color and thought it would look way too yellow in the kitchen. Instead, I chose three of the warm whites from your guide and am testing them out this weekend. And don’t even get me started on how much you helped me narrow down a new wall color for our dining room. Thank you, thank you and have a wonderful holiday weekend! a friend borrowed it, and I became so worried she would mark it up or rip it and I promptly called her and said I need it back asap…true story! I have been following/devouring/giggling my way through your blog for a couple of years and I LOVE IT! Just to let you know that I am being honest and proud and all those other fun things: we (hubby and I) bought a condo as an investment two years ago (we live in Florida) and didn’t have a clue about colors to paint, etc. You are such a fan of Benjamin Moore paints that we took your advice and bought their “Cotton Balls” and “Gray Owls” paints, used them in various configurations (walls) and fell in love. We realized how easy the paint was to roll/brush and lovely and thick!! Covered old stuff beautifully and we are very proud of the finished product …. AND – yesterday we started painting our whole house the same colours …. that’s how cool they are! We are covering very, very dark forest green and some mustardy looking colour today in one of the rooms – and we are, again, amazed at how well the paint is covering these crazy dark colours! LOVE THEM ….. So thanks for your input, wisdom and fun personality. Hi Laurel! More thank you vibes coming your way! My husband and I just bought our first home and I’ve been struggling to decide on furnishings to the extent that I was worried we were going to be sitting on the floor for the first 6 weeks or more once we moved in. Between your paint guide, rolodex, and blog, particularly the one about dining chairs you’ve (virtually) helped immensely! When I saw the neo-cassical style dining table by Henredon I knew it was EXACTLY what I’ve been looking for, and for $200?! INSANE! I can’t wait for it to be delivered, I know it will be perfect! Laurel, Your the best!! I’ve loved this room since I first saw it in Southern Living magazine and am thrilled to find out about the stripe fabric. Thank you for all of your hard work finding sources! Best $ I’ve spent for your rolodex and paints. Thank you from a fellow designer! Just wanted to say a quick thanks for good advice you gave me through your blog posts! I was having my living room and dining room repainted and knew I wanted some color, as both rooms had been painted in drab ivory with even drabber ivory trim for 30 years. After identifying the color families that appealed to me, I cross checked with your paint suggestions (in particular your 16 favorite BM colors for 2016) and went with Pale Avocado in the LR and VD Blue in the DR with Cotton Balls trim throughout. My husband was on board (he’s the best), but my six kids were vocally opposed to Pale Avocado – certain that color choice would be the end to their happy days at home. Feeling brave with your guidance in mind, we forged ahead. And voila! The rooms are simply smashing and even the grumpiest of teens heartily agree! I can’t believe a color that seems anything but neutral can be so neutral on once up on the wall. It is just the perfect backdrop. Now, we do have quite a lot of trim (including an entire wall where the fireplace is), so the Pale Avocado is broken up (as you suggest it will do best). I agree that four solid walls of it may not be as successful. But for us, it is a homerun! I really enjoy your blog. Please keep it up. Best wishes to you. In the last few months since obtaining your color products I have only been using the universal colors. just the right color for clients. They think I’m a genius. Do I have to share my secret? It’s like playing the violin Suzuki method. I too found you from your  whites article that I came across. So glad I did. My design work has been so much better. Maybe I’ll update My resume and go get a sales representative job at BM. I know just what account I would start with. My numbers would impress. I have to be one of your biggest fans. I began reading your blog in April when we moved from our home of 18 years to a weird custom designed house. (Which could be fodder for days and days for you;) I talk about you so much that at first my friends and family thought I found a new BFF in the neighborhood. Back on topic, with the old house I left a Viking gas four burner plus griddle range whose oven had blown burners or some constant expensive problem. My new house has an older Electrolux induction cooktop which I was prepared to hate. I have to say this induction cooktop is WAY more responsive than gas. It’s clean and fast. This could be a wise choice for you. Just know that you may have to replace some cookware because the pans must be magnetic. This rules out aluminum and copper. It likes stainless and iron. I’ve purchased your Rolodex and paint palettes and look at them all the time. I purchased your rolodex and paint guide quite a while ago, but I’ve just begun using them. So helpful, thanks so very much for writing the guides. So far I’ve got 3 rooms in Classic Gray and I love it! I know you also have available the paint palette, and in my paint guide you mention that owners of the rolodex/paint guide can get the paint palettes at a discount. I’ve been trying to find that purchasing information on your site and can’t seem to find a button for those who’ve already purchased the first set. Would you mind letting me know the price and how I may order? I just wanted to let you know that I’ve been following your blog for about three years, now. In those three years, I’ve undertaken to do a little renovation to my 1908 Toronto semi-detached home. I’ve been doing it as I can afford it, so it’s taking a looooonnng time to get done. (It’s become a running joke with my friends – I had people over for my birthday in June and I made centrepieces out of power tools and scrap materials!) All the while, I’ve come back to your blog for common sense advice, lots of laughs (shot coffee out of my nose, once. Not gonna lie.) and your generosity with colour advice. Now that I’m paying someone else to paint my home for the first time in my life, I definitely freaked out and obsessed over the palette – until the first two rooms were finished. I chose colours from your descriptions, tested like crazy and even my painter thinks I am a goddamn genius. The middle bedroom is Oystershell – he told me he had tried like hell to find a colour like this and no luck. And yet there it was – and holy it’s beautiful. Second room is Abalone. And again I am in love. I have every confidence in the rest of my colours, now. Thank you so very very much for helping me through this. It’s a crazy undertaking for a single obsessive-compulsive and you’ve made so much of it rewarding and delightful. Now please don’t show me anything else I will like better! This paint pallet has saved my behind and sanity (in no particular order) on several occasions. With such a large selection of paint colors on the planet, choosing a color can become an agonizing decision and hold up progress. This collection is chosen with such great taste with just enough of a variety to give you directional choices, but not so much that it’s overwhelming. Worth every cent. Thankfully, your blog saves all of us a ton of money and mistakes by helping us make better purchases or finding ways to work with what we already have.. In the past, I have painted the wrong colors, bought wrong window treatments, purchased wrong size furniture for my space, and bought fabric on a whim without a plan. 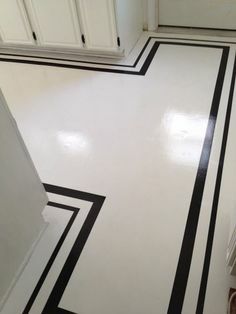 I’m sure I will always make mistakes or change my mind when it comes to my house, but I do it a lot less now several years into reading your blog and using your color and palette products. I have learned so much about timeless design and decorating from your blog, Laurel. Thank you! You had mentioned that you had used White Dove in your Bronxville renovation and that looked gorgeous so I went with that for my kitchen cabinets. It also ties in with the “kids office” above, which was previously honey brown wood paneling and I had painted White Dove. The island and butlers pantry cabinets are Deep Royal, the walls are Classic Grey and the mudroom is Chelsea Grey – THREE of your favorite Benjamin Moore paint colors. I also painted the ceiling in our living room Quiet Moments. Another one!! Do you need any more convincing for people that your color selections are on point! I also included the dining room because it includes a Visual Comfort light that you previously posted about – and I am SO in love with my wallpaper. OH – and we painted our house Swiss Coffee. Will My Warm Paint Color Palette Look Dated in Five Years? Are Your Christmas Decorations Making You Blue? 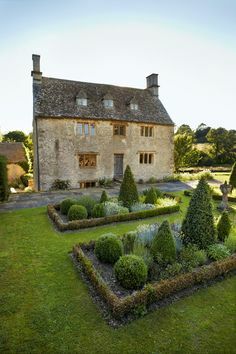 The Secret English Gardens and I Mean Secret! please feel free to share! *Love your comments! Please note however, that the blog is meant as general advice. In addition, it is not possible to give out specific answers to your interior design and/or paint questions. Thank you for your understanding. Recommend which palates/colors would be good for preparing my house to sell? It’s a two part product and you can read all about both products and what each one has to offer here. Hi Laurel, you forgot about one group, your devoted overseas readers! I love your posts and also consider them training. Being on the other side of the world I do not have access to the same paint companies or if I do the colours have completely different names. I am also unable to buy from most American suppliers and those who will let me have shipping rates that are cost prohibitive. However….the knowledge and inspiration I get from you Laurel is immense. I respect and admire your talent but most of all I am so thankful for your generosity. Love, love, love your work, great personality and ability to produce so much fantastic information!. Question, I have already purchased everything but how do those of us previous Rolodex owners obtain the new updates? I’m sorry, I really did read through your great explanations and couldn’t find that answer. Thank you again for your beautiful inspirations! I just sent you the link and feel badly that you didn’t receive the update that was sent out to all rolodex owners on the 2nd. I’ve heard that the same has happened to a number of rolodex owners. It’s quite frustrating but any rolodex owners who see this and don’t have their update, please check your spam folders and do a search in spam and your regular email for “laurels rolodex.” If you still don’t have it, please contact me and I’ll send you the link. Thank you so much Teresa! Lamps and/or sconces are the best source of light and not utilized enough as so many rely on recessed down lighting thinking that’s all they need. Some people didn’t get their email with the promo code and explanation. I’m going to write you privately to make sure that you got the promo code. And yes, you will get both products because it’s the only way I can do it, but you are only paying for one product and at a huge discount. Newbies are getting the same discount that you are, but are also purchasing part one. 74 = part I, 54 = part II = 128. I’m in the – can’t remember which – group that is not purchasing your products. Not because I don’t think they would be wonderful and helpful, but because I have no money. I am a retired teacher and my husband is on social security. I stumbled (yes!) on your blog as I freaked out over choosing paint colors for the house we have lived in for 25 years and are (finally — why did we wait until now?) updating to sell and move this spring. Your blogs have been invaluable. I have learned so much about color, scale, and style from you. The club chair post was marvelous! i can’t afford any of those chairs, but I can take your advice along in my head when I shop for the two chairs I need in our new house. First let me tell you that I love you. Second I’m having trouble checking out – the purchase site reverts to the rolodex offer. You have to scroll down and just say no to the rolodex offer. It’s a little design flaw of theirs, IMO. Hi, I'm Laurel and Laurel Home is the website and blog for Laurel Bern Interiors. I've been creating new-traditional interiors for over 27 years. The blog is where I share all. Looking for something on the blog? search below. it works! Our Modest Starter Home Might Be Our Forever Home. Decorate To Sell Your Home – Brilliant Decor Or A Disaster? Should These Top Decorating Trends Stay or Go? Do The Best Dark Blue Paint Colors Give You The Blues?